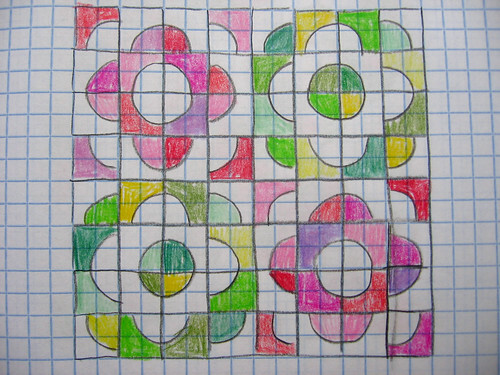 Also-- I can't remember if I left you a comment on the post about the drunkards path blocks and layouts, but I loved seeing all of the possibilities with those squares, I had no idea they were so versatile! Very cool! The Rainbow Rail quilt is beautiful (great name too). 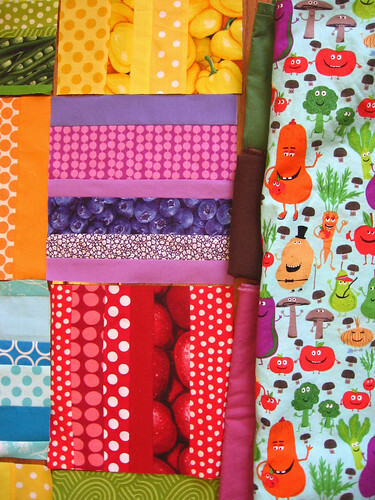 And the fruit and veggies fabrics are terrific! 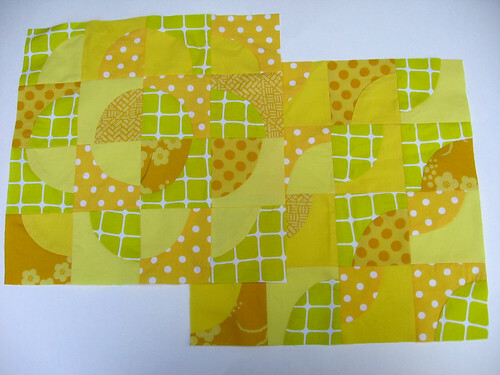 I love the design for the drunkard path quilt, can't wait to see the quilt! Wow Kate, I am so impressed with all your projects and creativity! Can't wait to see the next steps in these quilt projects (and your needle felting experiment!). Your rail quilt is so pretty! 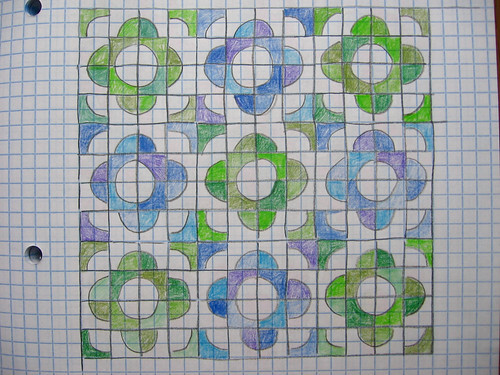 And those drunkard paths blocks are great - that's going to be an amazing quilt! Such fun fabric you have in both your projects. I love the fabric choices for the drunkard path quilt and those two designs are really fun especially the one that makes the pluses. Lovely work and such cheerful colours! I like the design you are planning. That is stunning! I totally have to try that with the RJR Marketplace fabric I have! May I link to this on my blog? 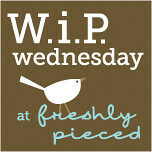 http://whittskitsfabricscrafts.blogspot.com? Love the saturated colors you chose! 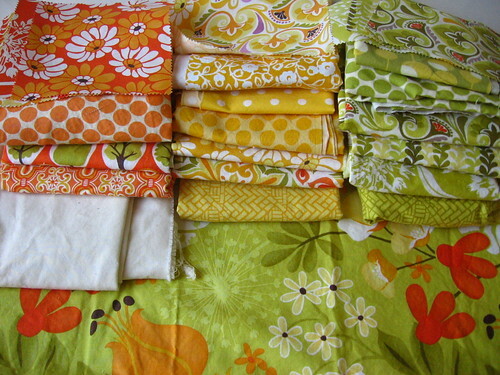 Seeing all this fabric, I just got some serious stash envy! And the veggies for the backing are so cute! Ooh, I love the rail fence! Gorgeous! 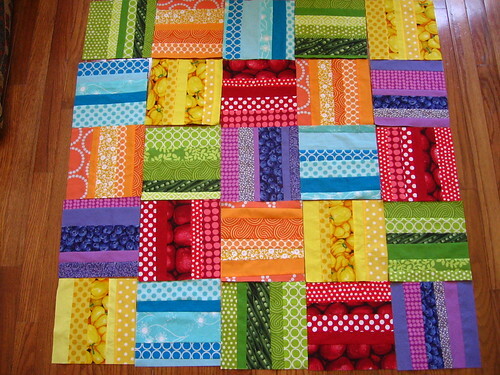 Love the colors in your rainbow quilt. So bright and cheery! Wow! That rainbow rail quilt is gorgeous! I love the rainbow rail - lovely effect! I love your design with the varying colors. Can't wait to see that one!